It was a surprising event when the Syracuse Lacrosse team cancelled part of its fall ball schedule in 2017 when there was concern over some students who came down with mumps. Officials wanted to make certain that the infection would not be spread to opponents visiting campus. That was not the first time that infectious disease interrupted lacrosse games, but in 1902 the way it was handled was somewhat different. 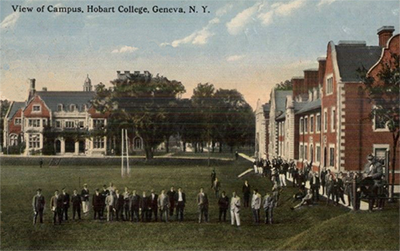 The report on the Saturday game stated that Hobart posted a 4-2 win over the Rangers. “[They] “bagged the scalps of the visitors to the tune of 4 to 2. 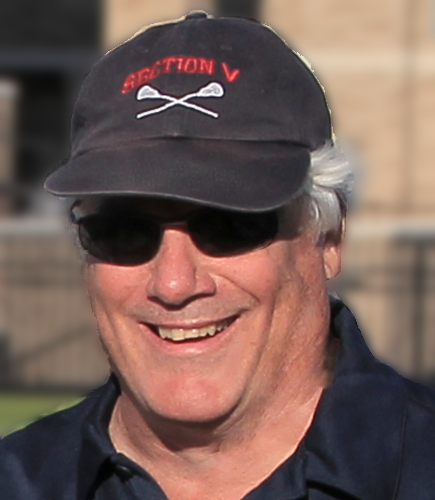 It was a fine exhibition of lacrosse and the game was highly interesting throughout.” The game was played with a number of substitutes who did quite well. Also playing in the game was College Chaplain, Dr. J. A. Leighton, who filled in for Captain Bennett at cover point. A week later (May 15th), The State Board of Health lifted the quarantine deciding that it was not smallpox but chickenpox. 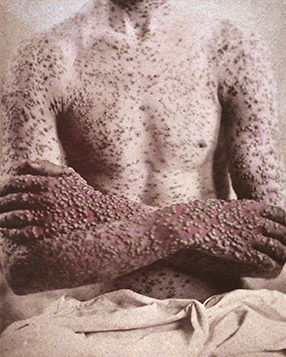 Although not always fatal, smallpox was an insidious and highly infectious disease caused by the airborne variola virus. With a history that goes back to ancient Egyptian times, the disease killed three hundred million people before it was announced as eradicated in 1980 by the World Health Organization. What makes the Geneva scare more real is that the city of Rochester was in the midst of a smallpox epidemic at the time (1902-1903). Traced to two men who carried the disease from Troy, more than 600 people contracted the disease by summer of 1902. There was no public health service in the city and individual doctors worked to try to control the spread. Although vaccinations did exist, it sometimes made people sick so it was often difficult to get people to volunteer for the protection. When doctors asked the Rochester School District to order that all children be vaccinated before school reopened, the district refused and by Christmas, forty children were hospitalized. By the end of 1903 the epidemic was nearly over as vaccinations against the disease became common policy.